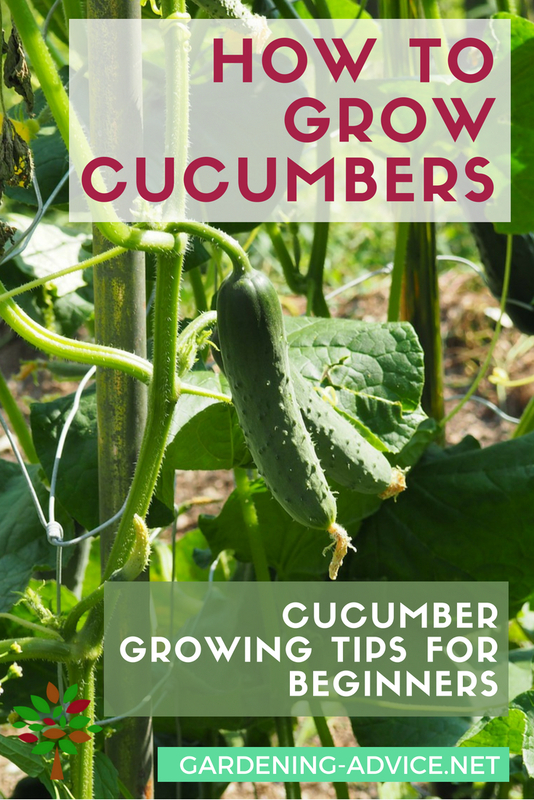 Growing Cucumbers is quite easy and well worth it. 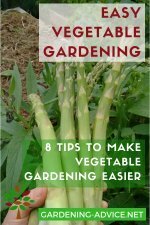 Garden Tips on how to grow the healthiest cucumber plants and the best cucumber varieties. Planting cucumbers is easy and you can't beat the flavor of a cucumber that you harvest from your own garden! No shop-bought one will ever come near it! On top of that you can eat them with the skin because they have not been sprayed and you know what's on them (or what is not!). 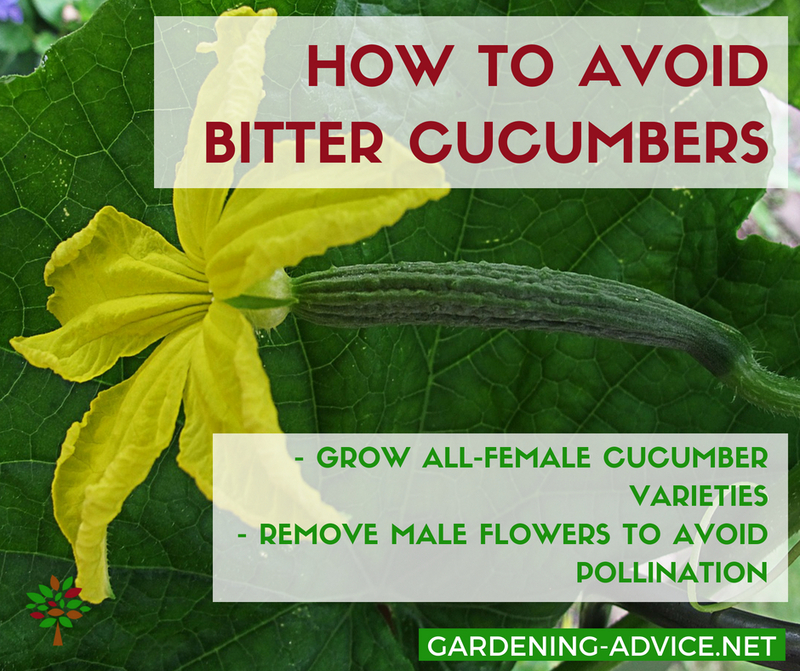 So it is well worth it to learn how to grow cucumbers! There are many uses for cucumbers in the kitchen. 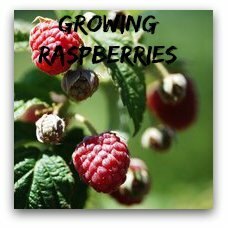 They can be used for salads, chopped into yogurt or you can pickle them for later use. They can also be enjoyed lightly cooked with a little bit of sour cream. It is a very refreshing vegetable in the hot summer months that contains a lot of water and only little calories. 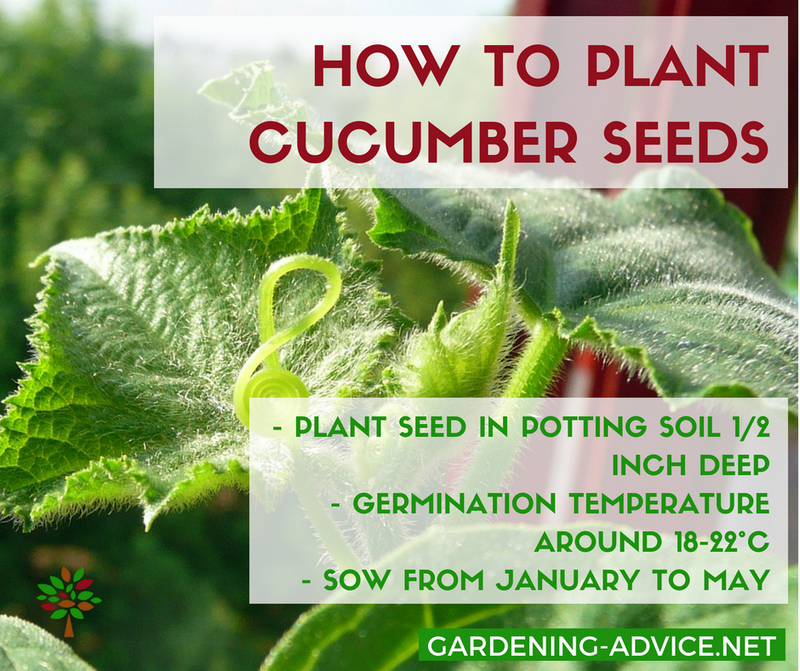 Of course you could do it the easy way and buy cucumber plants from your nearest garden centre, but you have much more choice if you order cucumber seeds from seed catalogues. There is a great amount of cucumber varieties to pick from. Your choice will depend on where you are going to grow them. Glasshouse cucumbers are usually long and smooth. Examples are Athene, Burpless, Diana or Telegraph Improved. Outdoor cucumbers are also often called gherkins or ridge cucumbers because they can be grown on top of ridges crawling along the ground. Popular varieties are Bush Crop, Long Green Ridge or Chinese Long Green. Here are some cucumber varieties for you. Look out for disease-resistant, all-female F1-Hybrids. These have no male flowers that will cause bitter cucumbers. You don't have to worry about removing the male flowers with those varieties (Athene, Diana). If you don't have an all female plant you have to remove the male flowers to avoid cross pollination. Otherwise you will end up with bitter cucumbers. 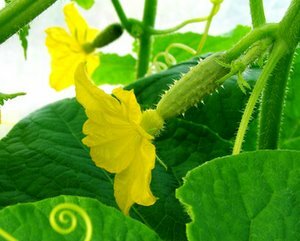 On the female flowers, like on this picture, you will see the small immature cucumber between the flower and the stem. Male flowers have only a short stem. Cucumber plants like a lot of organic material like compost in the ground. Well rotted horse or cow manure is also good. 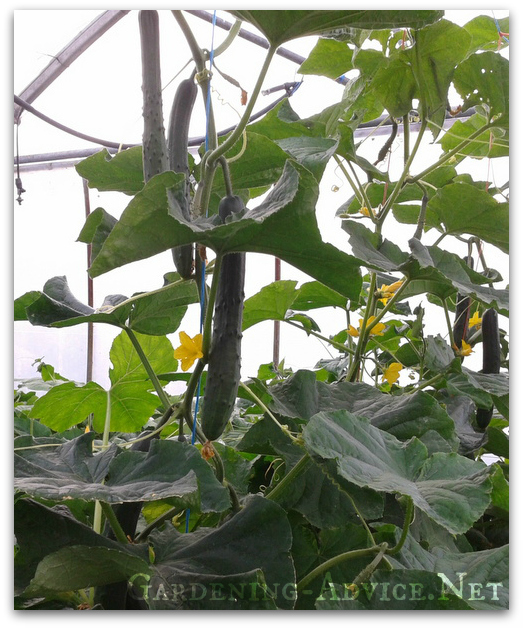 You need a minimum of 18 degrees C/65 degrees F for growing cucumbers and a moist atmosphere. 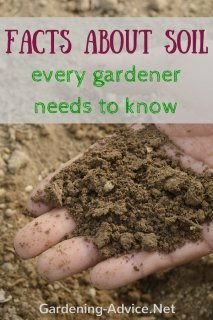 Keep spraying the plants on hot days and never allow the soil to dry out. 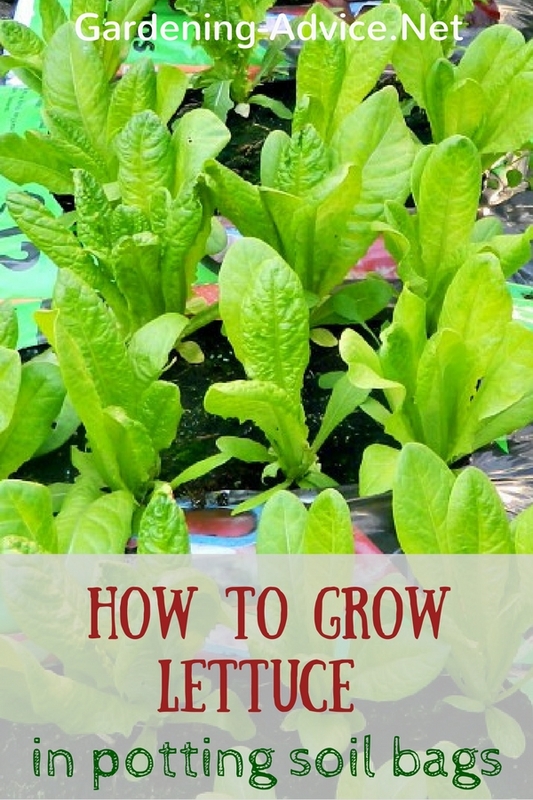 You can also grow cucumber plants in grow-bags or in large pots with good quality potting compost. 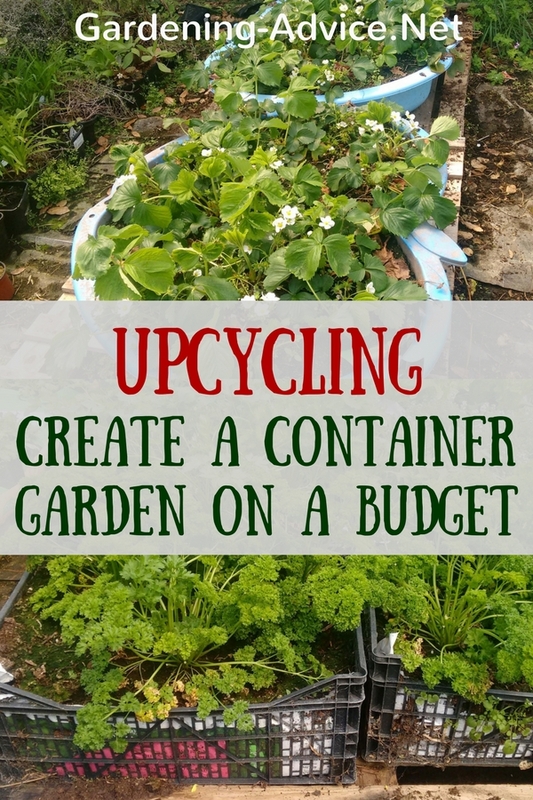 Add some organic fertilizer like fish-blood-and-bone or poultry manure into the compost and keep the plants well watered. 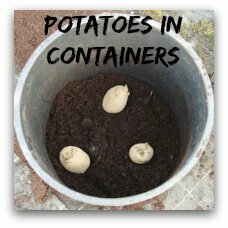 Fill small pots with good quality seed compost and insert one seed per pot. Cover with approx. 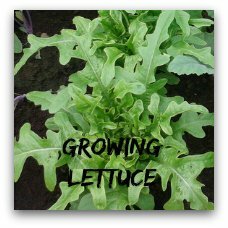 1.5-2 cm or 1/2 to 3/4 inch of compost an firm well. Water the seeds in. 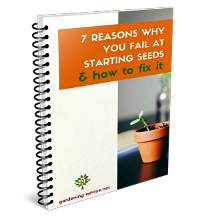 Cucumber seeds germinate within a few days if they have enough heat. They need 18 degrees C/65 degrees F. You can do this any time between January and May once you have enough heat. 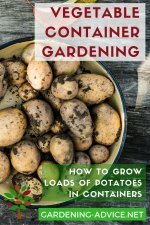 You can be planting cucumbers out once they are big enough i.e. have developed a second set of leaves. 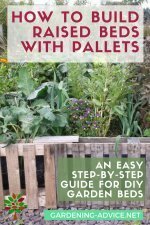 Plant them out into the prepared bed in the glasshouse or outside and water them in well. 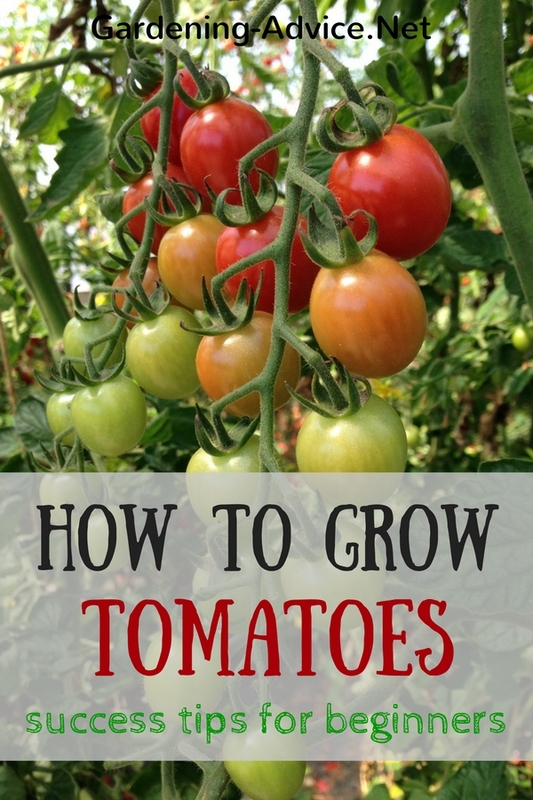 You can earth them up as they grow and they will produce more roots along the stem. Give the glasshouse cucumbers some support. You can use wires or canes. Tie the main stem carefully onto the support and pinch out the top of the stem once it has reached the height of the cane. 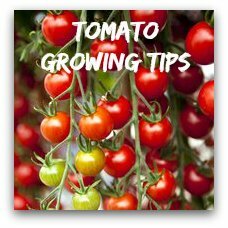 Stop the side shoots as well once they have developed the first fruit followed by two leaves. Attacks of Red Spider Mite in the glasshouse can be avoided by spraying regularly with water. Powdery Mildew can be a problem when growing cucumbers. 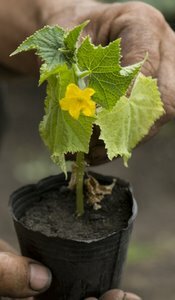 Pick mildew resistant cucumber varieties and keep your plants well watered.